Stepping out at night is never easy in winter, especially when there are so few dry days. Every once in a while, however, braving the cold is worth it, especially if the twinkling Christmas lights are still vividly cheering up the places that are otherwise grey and dismal by day. I am no great fan of the Alexanderplatz. By day it is depressing, dull, with only an impressive height that seems to pierce into the clouds going for it, and there is never really a right time to photograph the darn Fernseherturm Berlin (Television Tower). During the day you will end up with an overexposed shot, even if you attempt to shoot the legendary Pope's Revenge (Rache des Papstes) reflection, regardless of what you do with the settings of the camera, and it is snowing or raining, there is little visibility. During summer, the large square in front of the tower is packed of tourists and selfie sticks, and it is a challenge to get your own shot without ruining someone else's or being whacked on the head with something. The fountains are in hibernation now, and Christmas Market and a skating rink have taken over. 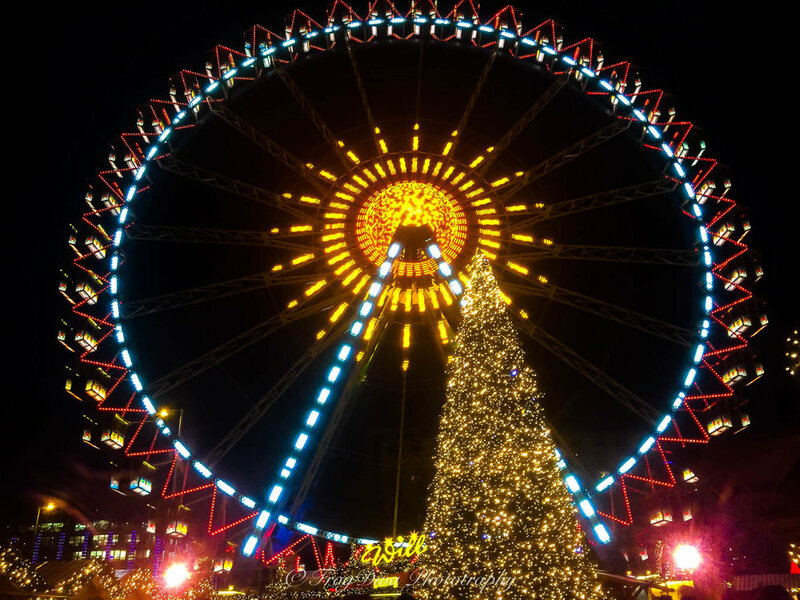 It may not be the best and the brightest market around town, but it offers a decent variety of stalls, and if you can navigate through the masses without knocking over someone's Glühwein (mulled wine), then it can be a pleasant experience. 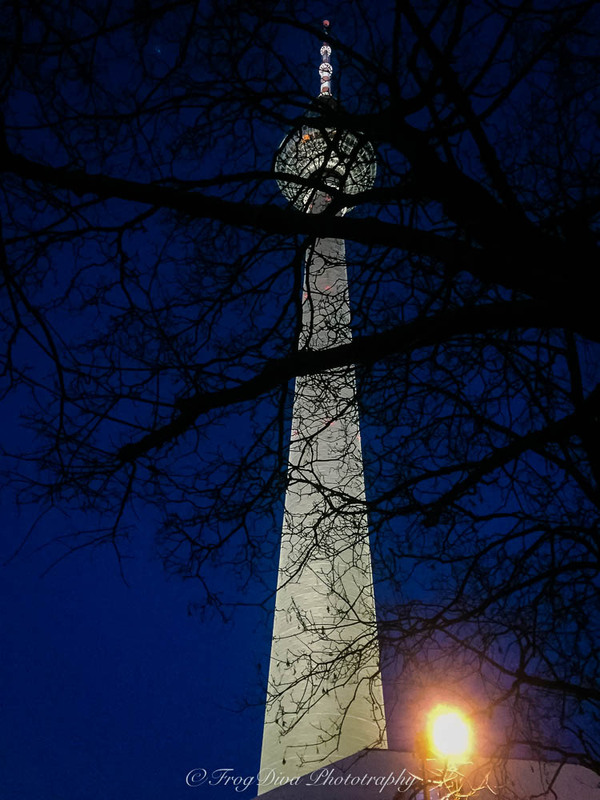 The Fernseherturm, however, takes on a whole new dimension after the sun sets. With a clear sky and during Blue Hour you end up photographing a magic wand and it provides quite the backdrop for the market. I think I will just visit the tower on a cold winter night from now on.